The Chevron Corporation recently presented a check for $5,000 to the career services and accounting departments. 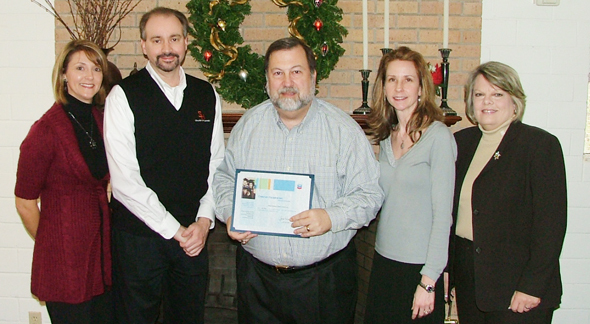 Making the presentation was Jeff Hansford, center, financial analyst with Chevron. Accepting were, from left, Heather Crowson, vice president for enrollment management, Phillip Morris, chair of the accounting department, Vinessa Mundorff, career services employment specialist, and Pam Laughlin, director of career services. The money will be used for additional workshops and presentations, such as an "etiquette dinner" on April 3.